Popular film actress Parvin Sultana Diti will perform in government sponsored movie after 26 years. She will perform in movie ‘Mukti’, directed by PA Kajol. Shooting of the movie began from August 6. Story of the film was written by director Kajol and he has also made the script. 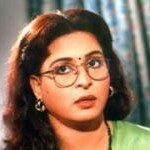 Diti started her film career by performing in a government-sponsored movie in 1985. Her attachment in this arena began by performing in the movie ‘Daak Diye Jai’, directed by Udayan Chowdhury. 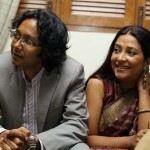 Afzal Hossain was co-actor of Diti in that movie. Despite completing 80 percent of the works of the movie and also due to have financial crisis the movie didn’t get released. For this reason, Diti has to say unfortunate for her debut movie. After 26 years her dream comes true. 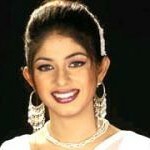 She will perform in Kajol’s movie in the role of a widow. In this movie, child artiste Swachcha is performing in role of Diti’s son. Masud Parvez (Sohel Rana), Helal Khan, among others, are also performing in the movie.